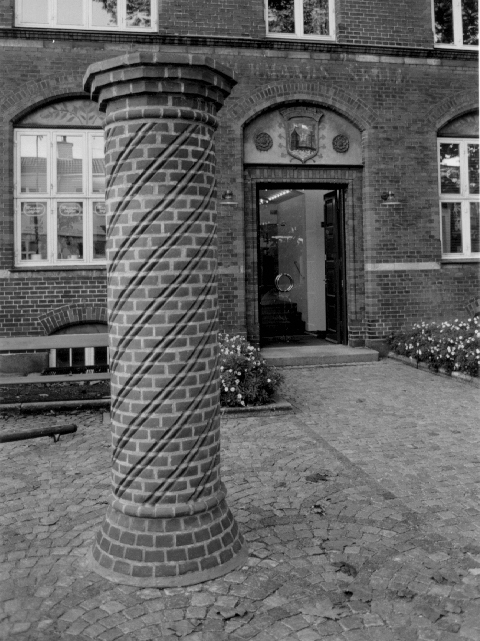 Participates in the Exhibition "Arches", Geografisk Have, Kolding. Participates in Exhibition on Urban Furniture, Kastellet, Copenhagen. Separate exhibition at Danish Centre for Architecture, Gammel Dok, Copenhagen. 'Art in Housing Areas', The Museum of Art Køge Skitsesamling. 'Handicrafts and Architecture', Nikolaj Kirke, Copenhagen.